DUI (Driving under the influence), DUS (Driving under suspension-DUI Related) and other alcohol violations may seem like small matters, but they can lead to big problems and even jail time if not handled properly. Miller Lyden P.C. represents individuals charged with alcohol offenses ranging from defending Public Drunkenness charges and Pennsylvania DUI offenses to Vehicular Homicide. From the moment you are charged and through all levels of the criminal court process we are there to help you in this time of need. We have helped others before, and possess the knowledge and expertise to guide you through this process and to ensure that you are provided with the best possible option and solution. Although considered a ‘social’ problem, driving while under the influence of alcohol is a serious driving offense in Pennsylvania. Even a first offense DUI conviction may result in the imposition of a jail sentence, probation, loss of driving privileges and mandatory fines and costs. If your job requires that you drive, a conviction may result in your termination. Conviction may lead to an increase in auto insurance premiums, and in the case of an accident, you could be sued or have your insurance cancelled outright. If you have been charged with DUI in Lancaster, PA whether it be for alcohol or drugs, contact the Pennsylvania DUI lawyers at Miller Law Associates. Serving Lancaster as well as the counties of Berks, Chester, Dauphin, Lebanon and York, our attorneys understand that driving while intoxicated is a very serious offense, one that can affect every aspect of your life. We analyze all aspects of our Client’s case and provide guidance through this troubling time. From the initial stop to arrest, from blood or breath sampling all the way through chemical analysis, we consider all factors in determining a defense to your case. You need an attorney who understands all of these issues and will zealously represent you against these charges. At Miller Law Associates we aggressively defend persons charged with DUI and help ensure a proper resolution in their case, and help them move on with their life. 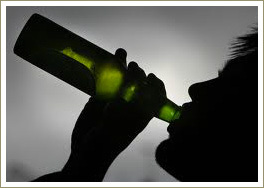 Underage Drinking is another social problem which can suddenly hit close to home. One night of poor decisions can rapidly turn into a problem with far reaching implications. Our familiarity with alcohol crimes as well as our experience in the Juvenile Court system has helped our team of paralegals and lawyers to see all sides of a Underage Drinking case and therefore better serve our clients. Pennsylvania Underage Drinking law states: “It is illegal for a person under the age of 21 in PA to drink alcohol, buy alcohol, attempt to buy alcohol, possess alcohol or knowingly transport alcohol.” Pursuant to the PA Crimes Code at 18 Pa.C.S. §6310.6, alcohol is defined as “liquor or any malt or brewed beverage.” and includes every type of alcoholic drink with an alcohol content in excess of .50% of alcohol by volume. Due to its toxicity, ethyl alcohols such as rubbing alcohol are excluded from the definition. In order for you or your child to be found guilty of Underage Drinking, the police officer or prosecutor must prove beyond a reasonable doubt the following elements: 1) the individual charged was under 21 at the time of the offense; and 2) the individual charged either drank alcohol, bought alcohol, attempted to buy alcohol, possessed alcohol, or knowingly transported alcohol. If found guilty, or ‘adjudicated’ in the case of a Juvenile, a first time offender will face a maximum fine of $300, court costs and a license suspension for 90 days. If you or your child have not obtained a license yet, the suspension will be assessed once you become eligible for a Pennsylvania driver’s license. Second and subsequent offenses for underage drinking carry stiffer penalties with fines reaching a maximum of $500 plus court costs. License suspensions for a second offense increase to one year and third or subsequent offenses carry a two years suspension. For these reasons it is imperative that if you or a loved one are cited with Underage Drinking that you seek legal assistance immediately. Once you receive a citation from a police officer, you will have 10 days to plead “guilty” or “not guilty” to the citation and post the required collateral with the appropriate District Court. Once a plea of “not guilty” is received, the Magisterial District Court will schedule a hearing date and mail you notice. On the date of your hearing, your case will be heard in front of the Magisterial District Judge. You can either try negotiate a deal or stand for trial before the judge. Our legal team can begin work immediately on your case, taking the burden of scheduling court, negotiating a deal or even preparing for trial away from you and your loved ones. Whether charged with crimes like Public Drunkenness or furnishing alcohol to minors, Miller Law Associates can assist you in resolving the charges against you. Not all charges of public intoxication need to lead to a conviction. Just because the charge is a summary offense does not mean that you must plead guilty. Alcohol Diversion programs are available that may avoid the necessity of a conviction and therefore avoid a record. Contact us today to explore the options available to you before its too late. Under certain circumstances you can have your record cleaned or ‘expunged’ of convictions like Public Drunkenness. If you are interested in expungement, contact our legal team and allow one of our attorneys to fully advise you of your options and your rights today.